Martin Pink is a famous English locksmith and he used his knowledge to develop various tools for locksmiths and lockpickers. 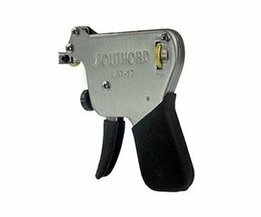 So, here is the electrical lockpick gun. 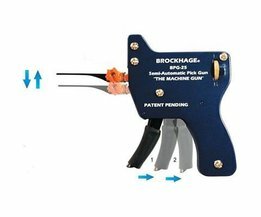 This version of the pickgun is already the third generation, which means that some improvements were made, such as a twisted tension tool and the addition of a plug spinner. 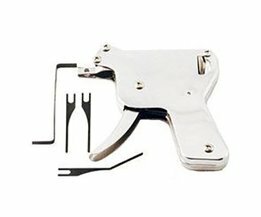 This lock pick gun has a different shape than you are probably used to. The gun is in fact made in the form of a cylinder. 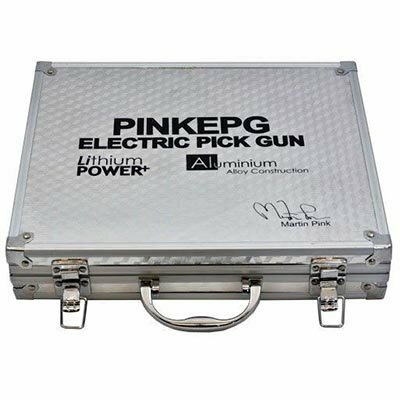 This ensures that the pickgun fits better in your hand and you can better see the effect of the lockpick gun over the lock. 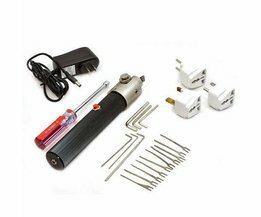 On the top of the lockpick gun is a button which allows you to turn off and on the lockpick gun. The lithium battery is recharged using the supplied charger. There are also several power adapters, making it possible to charge your gun. Using the 10 different picks you can easily open all kinds of locks. These are mainly the mortise locks, including cylinder locks. 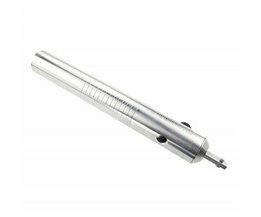 Using the specially twisted tension tool, picking locks is now very simple. The clamps can easily pick up the head of the pickgun and tighten the screws. 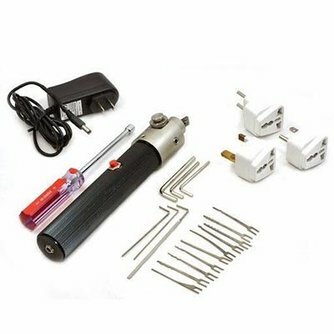 An allen key and a socket are included, in order to make these operations easier.